I took advantage of the sunshine yesterday but as we all know with the recent good rains and sunshine equals fast growing grass. 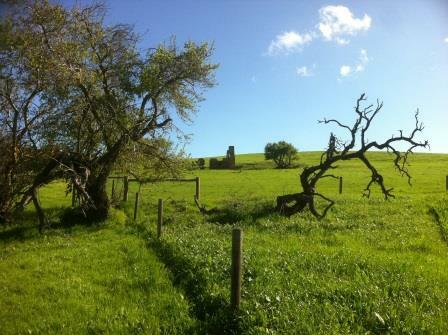 I was a bit limited for time and feeling a bit tired so instead of tackling a two kilometre walk up and down hills I decided to go over an old site right on the side of the road (not much walking). 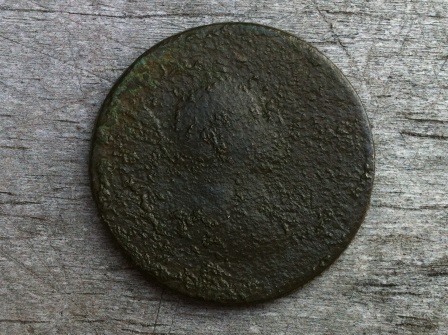 It was knee-high grass which made it hard going but it was certainly worth it when I turned up an early George III half penny, although somewhat smooth, holed and clipped. 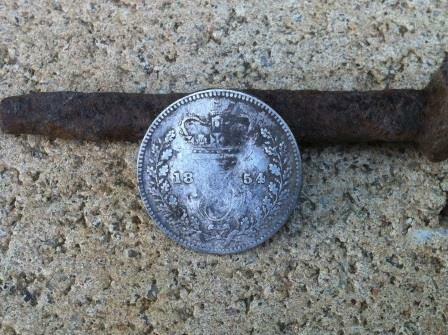 I worked the area up and down a slope on the northern side of where the ruin once stood where there were plenty of the usual shotgun casings and lead before I scored an 1879 Victoria penny. 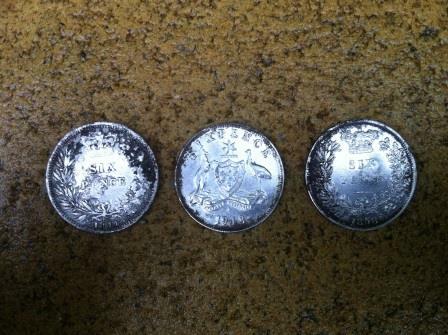 After digging and filming five or six pieces of lead I got a scratchy 7:38 and presumed it was another bit of lead, presumption is a fools best friend. 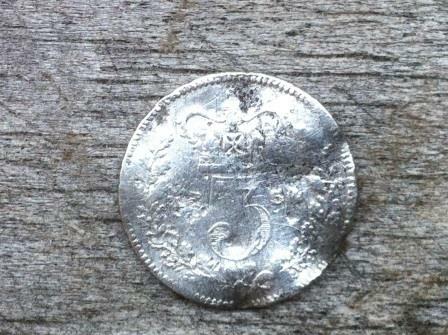 Out from under the grass and about four inches down came an 1838-39 Victoria groat or four pence, what a great find. I sent a picture to my mate Guy in Melbourne, who happens to be groatless, and his response was “what do those bloody things grow on trees over in South Australia”. 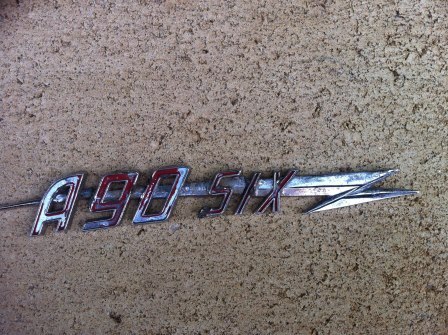 Your day will come mate but for now this one is just for you. It was hard going and quite tiring swinging the CTX 17 coil through the grass, I only lasted about two hours before it was time to head for home but as soon as that grass is gone I will be back for sure. A little word of warning, be careful because the sleepy lizards are on the move which means it is only a matter of time before the snakes are out and about, hungry, grumpy and full of venom after their winter hibernation. Take care and happy hunting. A few weeks back I took the E-TRAC and the 6″ Treasureseeker out for a few test runs and am now able to post with its release being announced by Coiltek. This coil is absolutely lethal with great sensitivity in trashy areas and punches down into the soil while getting great depth. 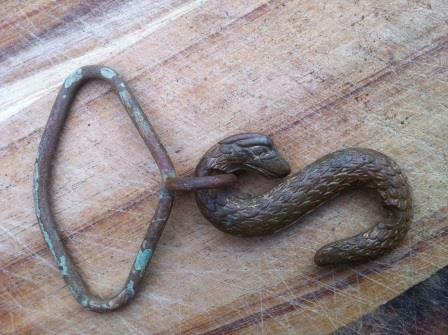 Any serious detectorists should add this coil to their accessories because there is no way they will be disappointed. Happy hunting all. 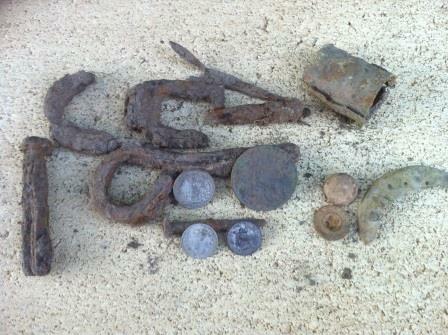 Had a few hours so I headed back to the 1800’s site with heaps of spent rounds and musket balls with every intention to dig every repeatable target. 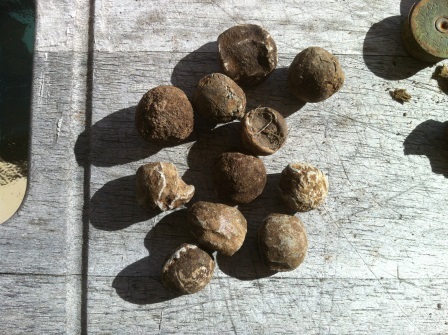 I was surprised last time when I dug a couple of iffy but repeatable signals that were between 1:36 – 1:38 which I would normally not dig, to find that they were actually musket balls. 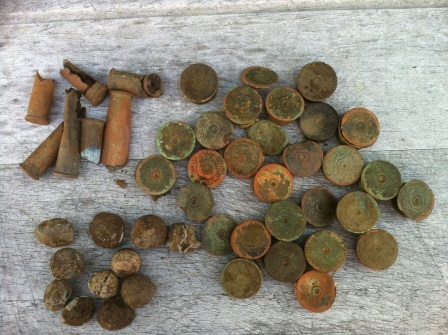 It was another great little hunt with plenty of shotgun cartridges to keep me focused between good targets, the first being a nice 1879 Victoria half penny. 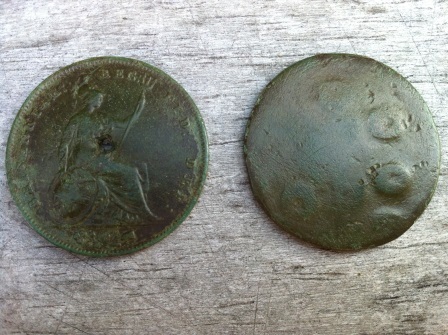 I managed a couple of Victoria pennies for the day, an 1867 & an 1876 before digging an iffy 1:39 thinking that it was either junk or a musket ball and turned up an 1855 Victoria penny. 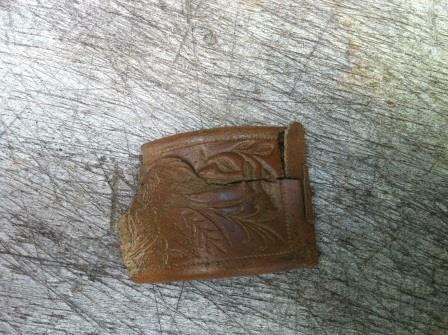 The shotgun casings were doing my head in but it was worth it when I got popped out a nice 1800’s cricket buckle and what looks to be a fancy ladies hair clip. 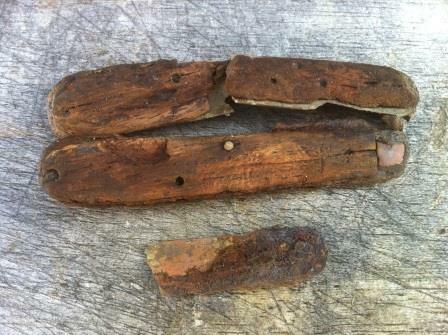 These finds really are the icing on the cake when you are having a good hunt. 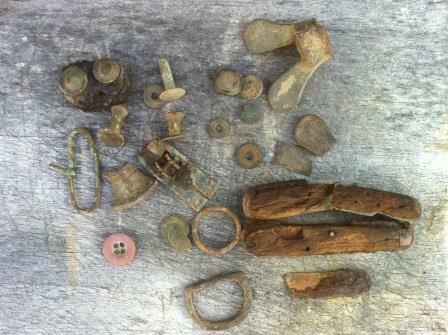 There were a few other interesting items amongst the usual harness rivets, bits of lead, brass odds and ends like a really old wooden handled pocket knife, dog registration disk and an ornate top off of something. When you finish a hunt make sure you never pack up and just walk away, keep swinging as you head back to your car because you just don’t know what may pop up under your coil, as was the case when I locked on to a solid target and pulled an 185? 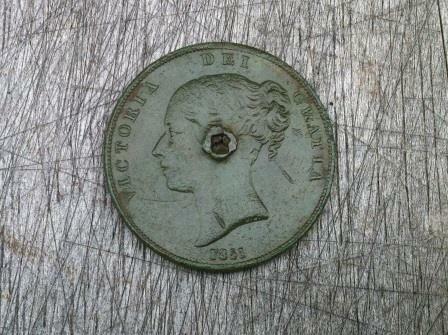 Victoria 3d. 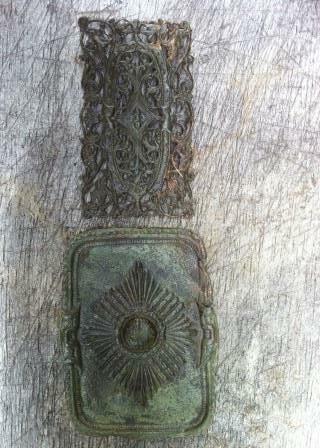 A perfect finish to another great hunt, keep that coil low and stay positive, happy hunting. 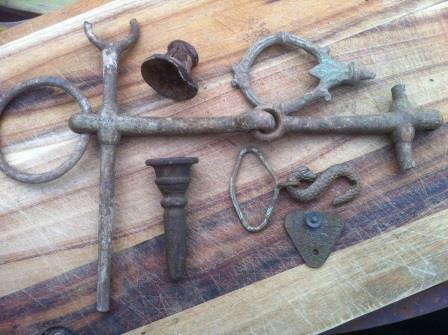 With the sun shining and all the great finds that have been popping up over the last month on the Australian Metal Detecting & Relic Hunting forum, it didn’t take much to get me motivated to head out to some of my old 1800’s sites. I knew the lower lying paddocks would still be too wet so it would have to be a hilltop somewhere, and I knew just the place. 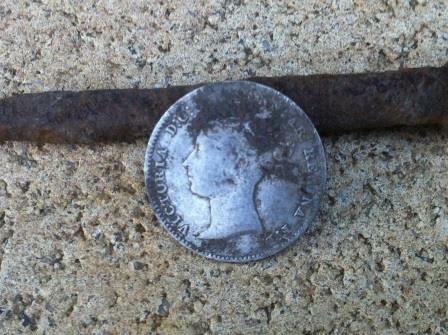 After about a 15 min walk to the site I was into it and it was shaping up to be a good day with my first target a beautiful 1891 old head 3d, gotta love starting the day with a silver. 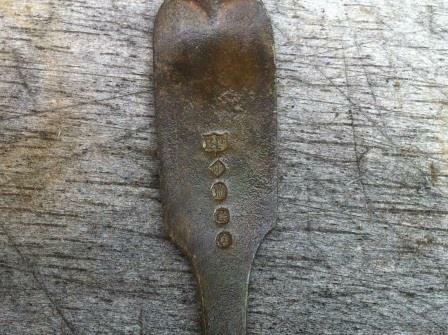 This site has been gone over a few times producing some great mid 1800’s finds. Today though my choice was the CTX 3030 coupled with the CTX 17 coil so that I could cover more ground and work the areas further out from the actual ruin. 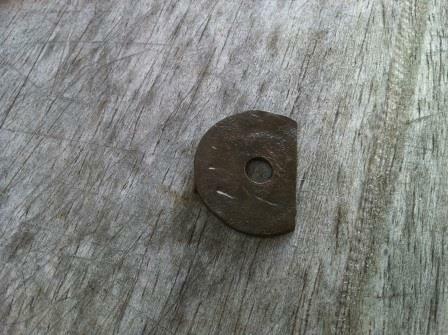 I’m sure it also helped me hit a few deeper targets with one of the Britannia pennies coming from around 14 inches deep. From this point on it was target after target as I gridded the side of the hill, I was soon reminded that this site produces ridiculous amounts of spent musket balls, shotgun and 303 casings. 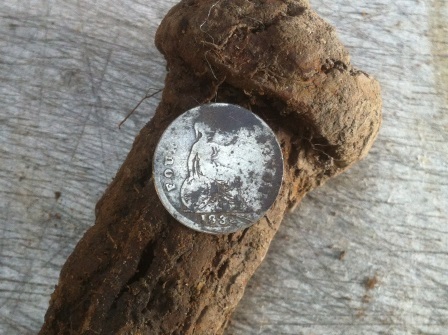 Annoyingly, you just have to dig them because they sound very much like a gold sovereign, although near the end of my hunt I was leaving quite a few for next time. Every so often though the tell-tale squeal of my CTX 3030 would switch my mind into overdrive with thoughts of what was under my coil now. 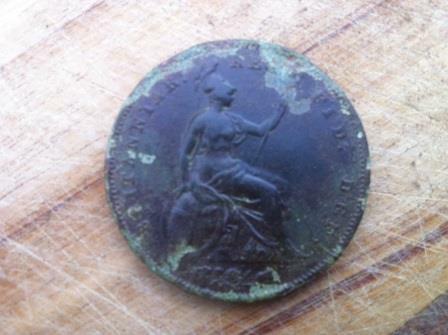 With every dig my confidence was growing when a really great condition 1851 Victoria young head penny surfaced, 1851 being one of the key dates and the first one I have found but unfortunately someone had put a hole in it. 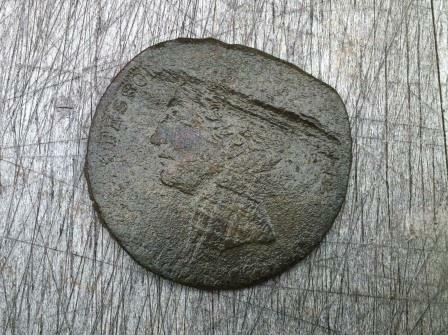 I thought sooner or later George III would make his ghostly appearance after a solid 12:45 and a quick dig, there he was. 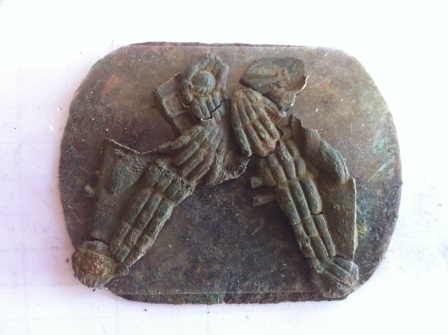 This was a 1799, I could only tell by its size because it had been worn smooth much like the one I had found about a week ago at another site. 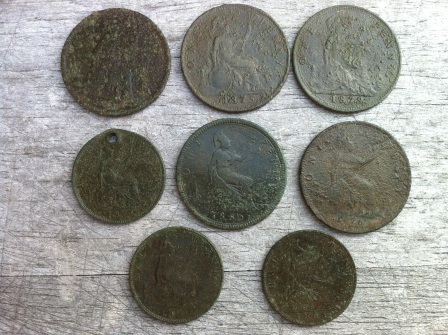 The coins just kept coming when I hit an area with a lot of the later Victoria pennies and halves from between 1860 – 1879, 8 in total. 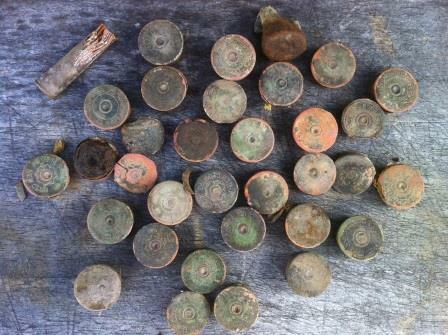 They weren’t in very good condition but certainly great fun to find. 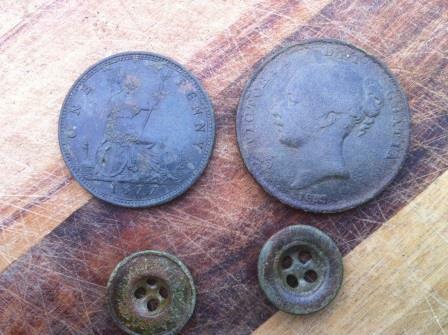 This was to be one of my best hunts for a long time after adding an 1857 Holloway pills & ointment token and a cricket buckle although very brittle and broken still a great find. There are still plenty of targets there and it won’t be long before you will be seeing part II of this hunt real soon, keep that coil swinging. Be a student of success, learning is living. 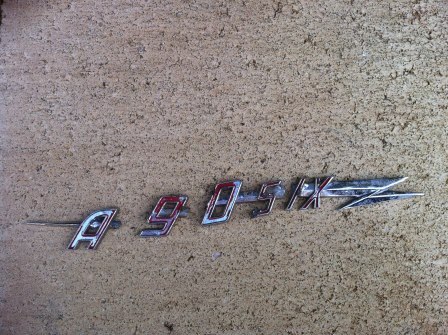 Scored this pretty cool Austin A 90 Six badge the other day but unfortunately it broke during retrieval. I laughed to myself as a quick scan across the paddocks revealed that the demented cow was safely locked away in an adjoining paddock. 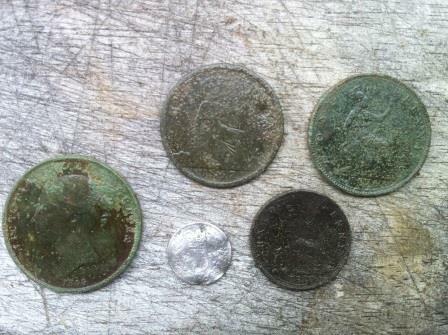 Wasting no time I headed for where I had dug out a good coin a few days prior but it was still way too muddy. 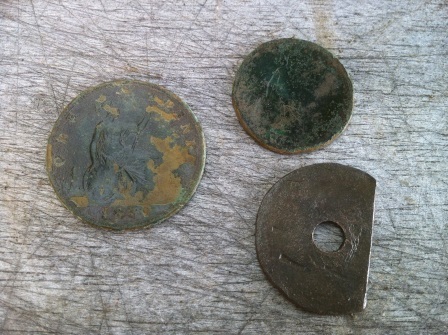 I gridded an area between the two largest old trees at the site and hit a patch of relics before pulling a really nice 1853 Victoria penny. Happy hunting. Latest blog on treasure talk about the CTX 3030 & the CTX 17 smart coil. This anticipation of going to a ruin for the first time is awesome, with every moment of the drive filled with thoughts of what treasure lies hidden beneath just waiting to be found. As I gear up and check that I have everything the excitement builds, with about a kilometre to walk it became more intense with every closing step as I neared the ruin, that first close up look is always a great moment that becomes etched into my mind. 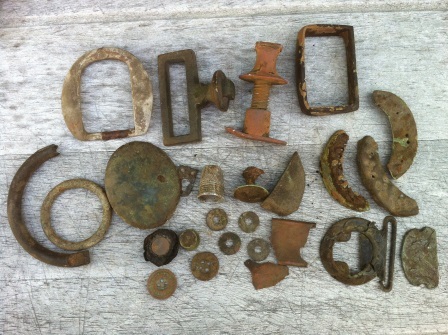 There was a lot of trash in the ground and the first solid target although large was a solid 12:38 that turned out to be a broken horse bit. 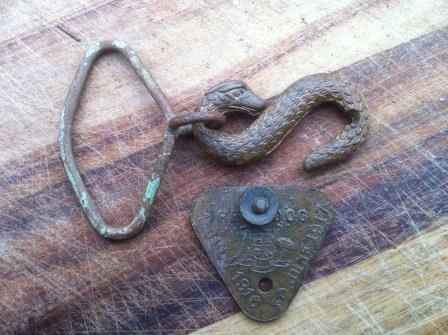 I followed this up with a 12:35 at the rear of the ruin and scored the best conditioned snake buckle that I have found with still plenty of the gilding on it. 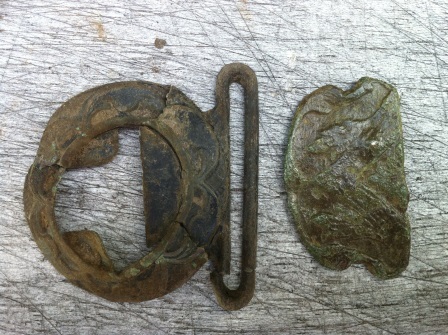 These buckles are great to find but you often find them broken where you can see the wear from where the other fastener was.. 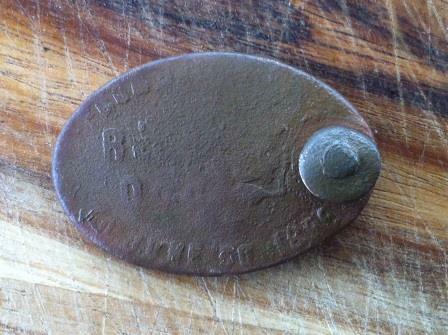 I did manage a few more finds including a 1916 dog registration disk before I noticed someone near my car so I called the hunt off to see what they were up to. I am sure there are plenty of other targets there that will just have to wait for another day. Keep that coil low, stay positive, manage the pace of your life and make sure that your constant speeding is fuelled by wisdom NOT anxiety. I don’t know why but for some unknown reason animals seem to gravitate towards me, especially the weird ones as was the case yesterday. To be honest after getting chased out of a few paddocks by crazy bulls I am always a bit nervous around cows and there is always one in a crowd or this case herd. This one cow not only looked crazy with half a deformed horn protruding from its bellowing head thought for some reason it was her, yes that’s right HER job to protect the other cows. I was ok until she started bucking, snorting, spinning and doing all sorts of crazy stuff around me before I decided she could have the damn paddock if it meant so much to her. 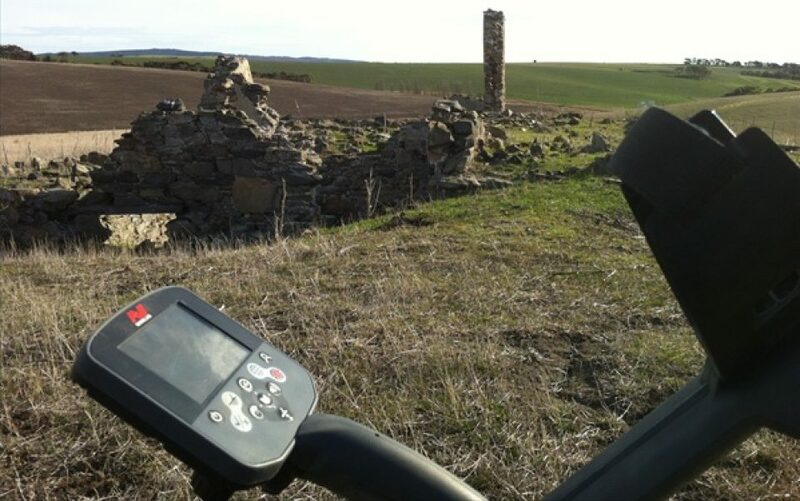 Anyway with that behind me I moved across the road to an adjoining paddock with no signs of any ruins but a bit of history that there once was a building somewhere but it was straight across the road from the second general store that was here during the early 1800’s. 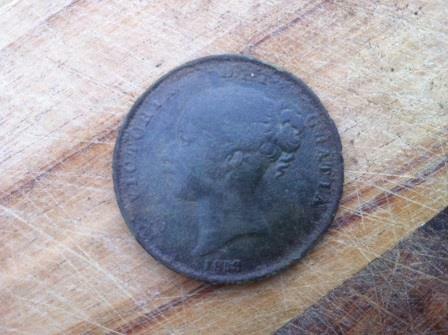 In hindsight I am glad that crazy cow came along because the coins and relics started to flow with some awesome early finds, that included my first George III 1799 half penny & 1827 George IV half penny (quite a rare find in Australia). 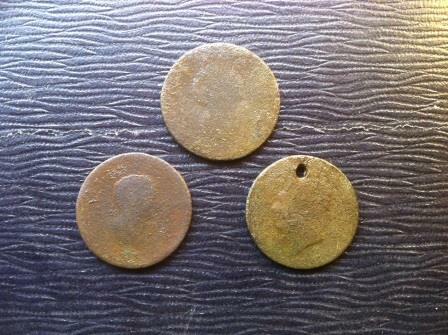 It wasn’t long before a couple of Victoria sixpences surfaced, 1858 and 1874 with both being very welcome finds. 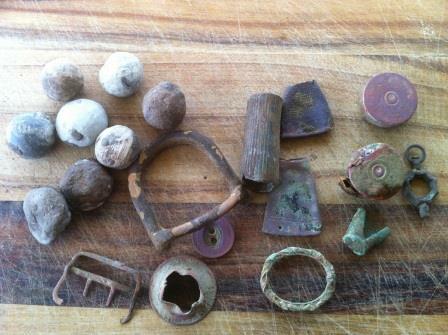 There were some great relics but the site and the one next to it are literally littered with musket balls, it is no surprise though as I had previously found an early South Australian Rifles militia button next door. 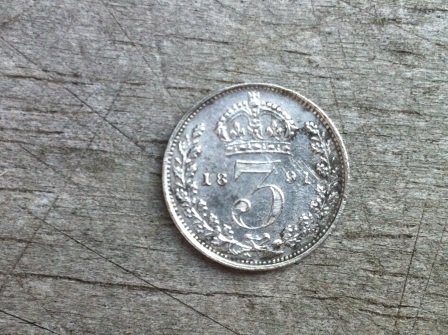 I got quite excited when a solid 12:45 came up on the CTX 3030 but unfortunately it was a very out-of-place 1943 sixpence which would normally be a good find, in this instance it left me somewhat disappointed. 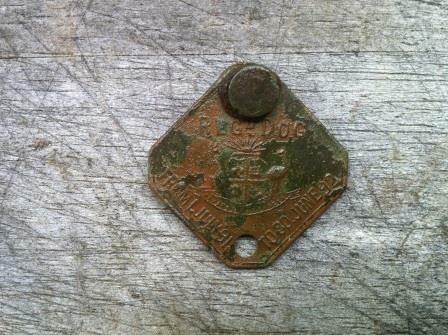 I managed to top the hunt off with an 1889 dog registration disk before heading for home knowing full well it wouldn’t be long before I was back here seeing what else turns up. 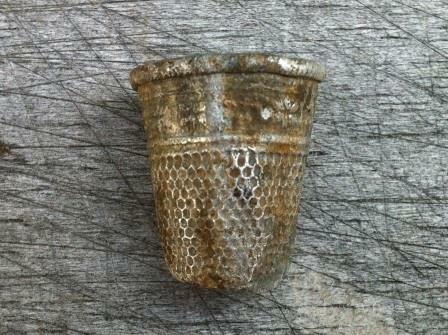 Happy hunting and hope you all find plenty of great treasures real soon.